We are so glad that you are interested in renting a tuxedo through Prom USA! Before we get started, here is some information regarding our rental services. Prom USA rents all tuxedos and tuxedo accessories from either Jim's Formal Wear or Tuxedo Central. We do not have any physical tuxedo inventory in our store. Because of this, we generally need rental orders to be turned in at least one week prior to your event date. Complete tuxedo rentals (not including upgrades or shoes) range from $134.95 - $179.95. Any upgrades or accessories are additional costs. We may be able to rent single pieces/individual item(s). This depends on the time of year and availability of the item(s) being rented. Please contact our store for more information on this. The rental price includes jacket, pants, basic shirt, vest, and tie. Additional accessories, shoes and upgrades are not included in the rental price and prices will vary depending on styles selected. Complete measurements and at least half down of the total rental price are required from each party member before the order is placed. Full payment is required the week of the event and must be paid prior to picking up the rental. A card will be kept on file for each rental, and will use the card on file to process late fees when applicable. Orders are recommended to be placed 4-6 weeks prior to the event date. 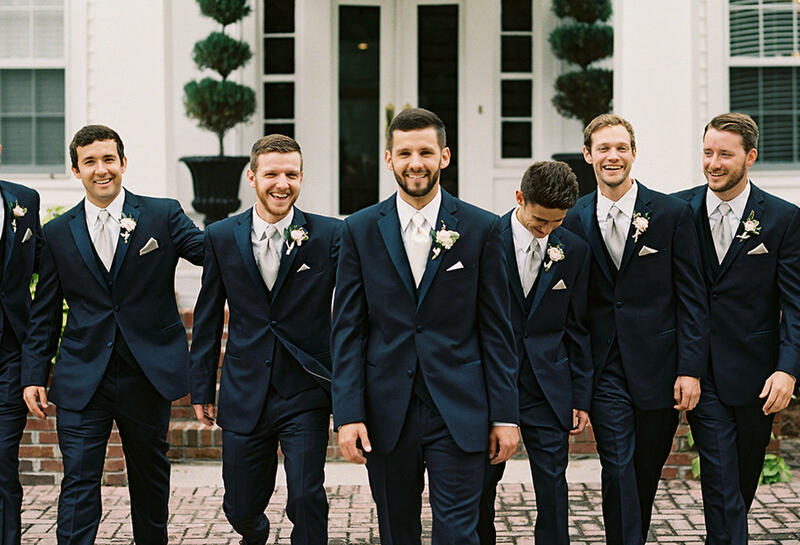 Tuxedos typically arrive a few days prior to the event date. The event contact will be called as soon as the tuxedos arrive and it is their responsibility to let their party members know about the tuxedo arrivals. After the tuxes arrive and the event contact has been notified, we ask that everyone in the party come in to try on the tuxes by the Thursday prior to the event to ensure enough time for replacement pick up (if needed). Please contact us if these days do not work for your party and we will do our best to accommodate. Tuxedos must be returned the following business day after an event (i.e. if the event is Saturday, the return date will be the following Monday since we are closed Sundays). Failure to return by the following business day by closing time will result in a $25 per day late fee.